Anassa Pure Defence Herbs, Certified organic blend of herbs using traditional Greek farming practices with the utmost respect and commitment to the land. “ANASSA” means the Queen in Ancient Greek. 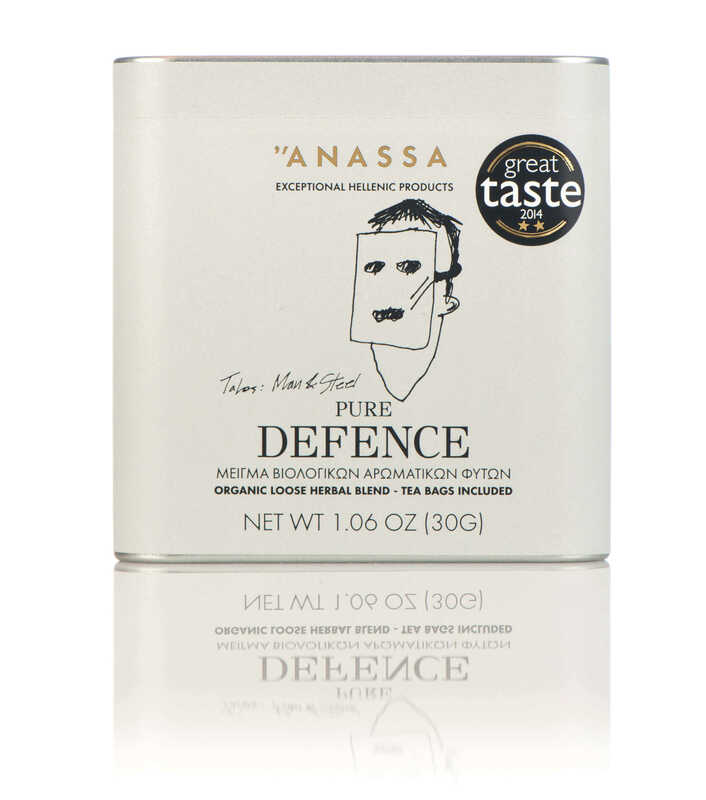 The Anassa brand stands for use of the highest quality of herbs free of pollution, lots of sun, fertile soils and love in every packaging. Whole Loose Leaves and Herbs that are naturally hydrated and void of impurities do NOT need to be soaked in hot water to invoke the richness in flavor and medicinal properties. Rather, add some of the flakes in your glass and add the ice for soothing and refreshing ice tea. For cold symptom and for a hot drink, use the herbs in the traditional way of preparing a tea. Tea bags and 6 wooden sticks are included in every package. Ingredients: Mountain Tea, Wild Rose, Fennel, Dittany. 30gr.